After having being able to finish the Sun Trip 2017 it was important for me to take advantage and to capitalize on all the key learnings I gained during this tough race. So I really needed to fundamentally improve my solar bike based on all the issues I experienced during the Sun Trip tour in 2017: this has been the MAIN DRIVER for my new project. After careful studies I have come up with the idea to build a completely new solar vehicle based on a Tilting Trike. visibility: classic trikes are very low, due to the necessity to minimize the ‘tipping over’ while turning. compared to a classic 3 wheels trike, the Tilting advantage is to almost eliminate lateral forces on rear wheels, and so to be able to use 700 wheels without problems. and a bigger 200W solar panel (instead of 150W). As a basis for this new project I needed to find a recumbent bike type ‘FWD’= Forward Wheel Drive. The reason of my choice is that I could develop a tilting mechanism on the rear (non drive) wheels only for this kind of bikes. There are on the market very few bikes we can buy: my choice was for a second hand Raptobike I bought in the Netherlands. 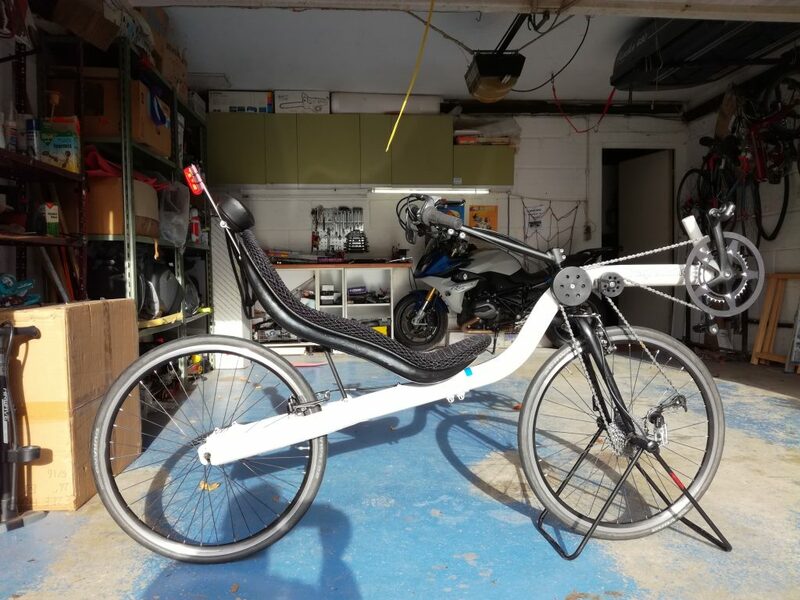 This new Tilting Trike was based on my initial idea concerning a very simple ’tilting’ mechanism to be added as an ‘option’ to the standard Raptobike frame. In the next section there is the detailed description of the first steps of my new project.